The Wilton Historical Society hosts a reading group that focuses on books with a historical bent. 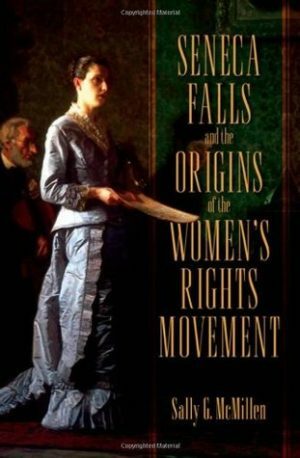 The book to be discussed on Thursday, June 20 from 12:30 – 1:30 is Seneca Falls and the Origins of the Women’s Rights Movement by Sally McMillen. In Seneca Falls and the Origins of the Woman’s Rights Movement, Sally McMillen unpacks, for the first time, the full significance of the revolutionary convention that changed the course of women’s history. The book covers 50 years of women’s activism, from 1840-1890, focusing on four extraordinary figures–Lucretia Mott, Elizabeth Cady Stanton, Lucy Stone, and Susan B. Anthony. McMillen tells the stories of their lives, how they came to take up the cause of women’s rights, the astonishing advances they made during their lifetimes, and the lasting and transformative effects of the work they did.